Do you overheat at night? 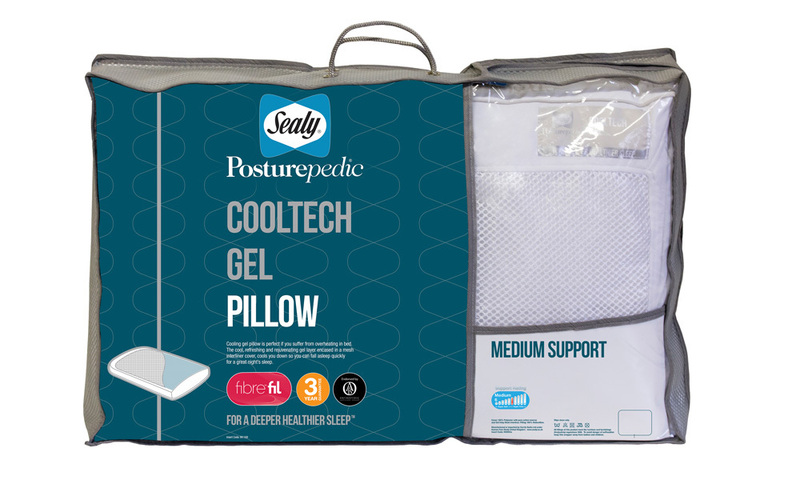 Say hello to the Cooltech Gel Pillow by Sealy - a luxury pillow complete with a built-in cooling gel layer. This exceptional pillow is perfect if you get that little bit too hot in bed. With its remarkable cooling properties and comforting support, the Cooltech Gel Pillow offers you the restful and rejuvenating night's sleep that you've been looking for. With a perfectly balanced medium level of support, the Cooltech adds layers of comfort with durable hollowfibre. This pillow is endorsed by the Orthopedic Advisory Board so you can rest easy - knowing that you have invested in a quality product from Sealy. Gorleston, great Yarmouth Avid pillow buyer !! Love that it has a soft side and a cool side.